A peaceful, de-stressing scent that helps you gently relax and refocus. This deep sleep pillow spray is the perfect accompaniment for quiet times or the pre-bedtime wind-down. Also perfect for: Mummy & baby time and those who are frazzled. Simply spray the Neom organic mist liberally into the air at home or in the office to create an 'Instant Holistic Treatment' or spritz your pillow before bedtime 20cm away from fabric. As you sleep the oils keep working long into the night ensuring peaceful sleep. It's so pure, the whole family can use it : made from a simple blend of organically certified essential oils, spring water and pure grain alcohol they are 95% organic and free from harsh preservatives, so they will not pollute your lungs, home or the environment. Spritz your pillow with the Neom Perfect Night's Sleep Pillow Mist. Lay back and breathe in through your nose for 7 seconds and out through your mouth slowly for 11 seconds. Enjoy a deep night's sleep and look forward to a fresh tomorrow. 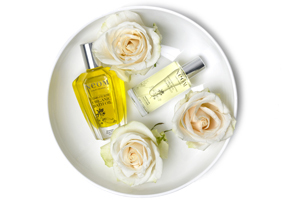 At Neom they have created the most incredibly powerful, organic range of luxury bath & home products that all work as aromatherapy treatments. Pleasure, leisure and treatment all in one that make you feel amazing every day.